Apple has ordered a TV series based on “Foundation,” a classic 1951 novel by Issac Asimov. 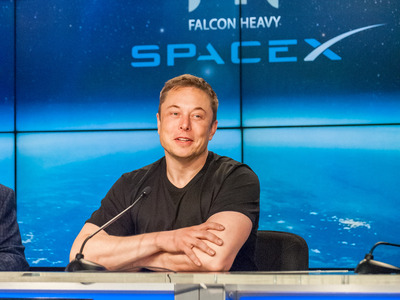 “Foundation” is considered one of the cornerstones of science fiction: No less than Elon Musk has said that it’s inspired him as he and his SpaceX seek to push humanity out to Mars and beyond. It’s official: Apple has given a series order to “Foundation,” a TV drama based on the 1951 Isaac Asimov novel of the same name, as Variety reports. The show itself comes with a pedigree, with David S. Goyer (of “The Dark Knight” screenwriting fame) and Josh Friedman (creator of “Terminator: The Sarah Conner Chronicles”) at the helm as showrunners. It’s the latest high-profile project for Apple’s still-nascent plans to take on Netflix, Hulu, and Amazon in original TV programming. The novel, and its two direct sequels, hold an important place in the science fiction canon. To make a very long, generations-spanning story short, that trilogy deals with the titular Foundation – a scientific think tank founded by “psychohistorian” Hari Seldon to preserve the collective knowledge of humanity through a centuries-long dark age following the collapse of a 12,000-year-old intergalactic civilisation. The ideas put forward by Asimov in “Foundation” have stood the test of time. Indeed, no less than Elon Musk has said that “Foundation” is one of his favourites, and reflects his fears for the future of human civilisation and why it’s so important for humanity to push out to Mars and beyond. Indeed, it seems that Musk’s admiration for the novels hasn’t faded over time, either. Earlier this year, the SpaceX Falcon Heavy rocket famously launched Musk’s personal Tesla Roadster into space, with a space-suited dummy in the driver’s seat and David Bowie on the stereo. Less well-known is that it carried a quartz-based data storage device loaded with the “Foundation” trilogy; a testament to the message of the novels. It’s not currently known when the series will premiere, or the details of Apple’s TV streaming service. However, it’s been acquiring the rights to several properties for TV series, most recently those of a New York Times article on climate change.